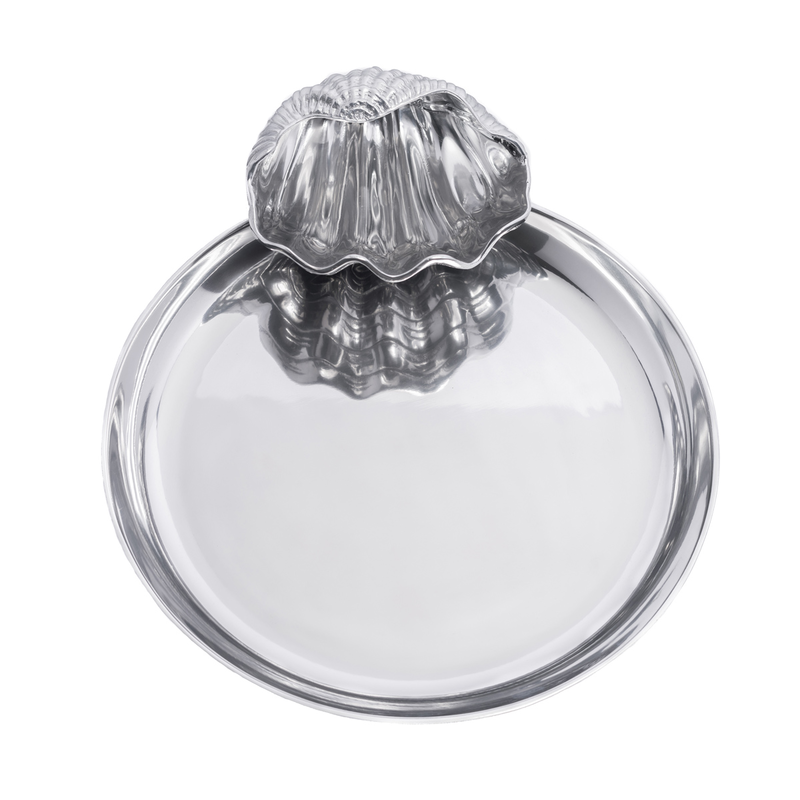 Give your dining room a seaside update with the Aluminum Clam Chip & Dip Server. Crafted with a clam shaped bowl and shiny aluminum tray, this chip and dip server makes a beautiful accent. This unique piece is designed by Arthur Court. 14"Dia. x 2"H; Cup holds 10 oz.